Network. A small group of very wealthy Americans has been working systematically to transform our politics to align with their interests. 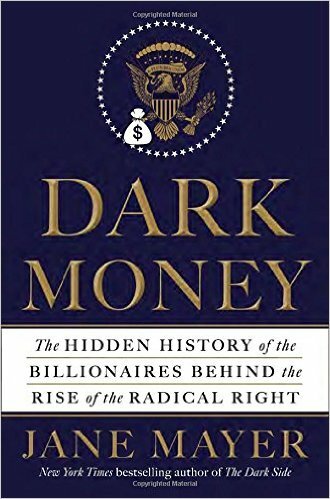 In her finely written book titled, Dark Money: The Hidden History of the Billionaires Behind the Rise of the Radical Right, Jane Mayer describes how patient plutocrats have framed public opinions and have ensured the election of individuals in local and national elections. Don’t think for a minute that Jeb Bush’s spending for poor results in the latest Presidential campaign proves that money doesn’t make a difference. The network led by the Koch brothers preceded the current cycle and is likely to have skipped Jeb in this primary. They gather large amounts of money and use it in myriad ways to influence work at universities, create what appear to be grass roots organizations, and use every means they can think of to buy the government that will be aligned with their interests. Any citizen interested in the topic of money in politics will be enlightened by this finely written book. Rating: Five-star (I love it) Click here to purchase Dark Money from amazon.com. Bonds. Our best writers find a way to be simple and complex at the same time. 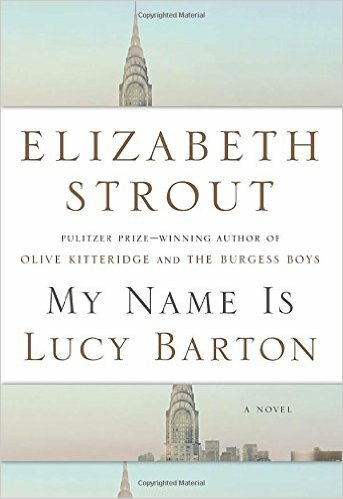 Elizabeth Strout’s short novel titled, My Name is Lucy Barton, can be perceived as a simple tale about a mother and daughter. It is also a complex and aching story about love and abuse and the bonds of love that can endure anything. In the same way that the emotions of some characters are implied in the novel, Strout uses great efficiency in her prose to convey more in a single sentence than many writers can achieve in long chapters. Strout’s writing is superb, and she is mastering nuance, to my great pleasure. Rating: Five-star (I love it) Click here to purchase My Name Is Lucy Barton from amazon.com. Unexpected. Serial fiction can develop characters in many different ways. Sometimes, the protagonist grows gradually in each episode. Other times, there seems to be such stability that the stories seem repetitious. David Baldacci takes a different approach in his fourth novel featuring assassin Will Robie titled, The Guilty. Baldacci takes Robie back home to provide insight into how he became the person he is, and focuses on the challenges in a father-son relationship that has been strained for decades. Readers find a more vulnerable Robie as he tries to grapple with the fact that his father has been arrested for murder. The unexpected twists in the plot strained credulity, but Baldacci does that often. This contribution to the series may polarize fans, but I found the unexpected diversion interesting and enjoyable, despite some ludicrous plot twists. 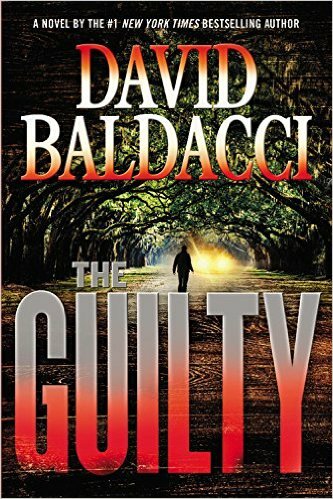 Rating: Four-star (I like it) Click here to purchase The Guilty from amazon.com. Connections. One of the reasons that I enjoy reading detective fiction is that I can compare my ability to connect the dots to that of the detective. 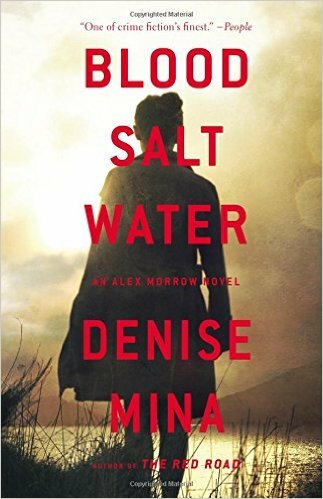 Denise Mina’s protagonist, Detective Inspector Alex Morrow, is great at connecting the dots, and she follows her obsession in the novel titled, Blood Salt Water. Things are not as they appear in the sleepy town of Helensburgh, and every character has something important happening that may not be evident to all. Morrow connected the dots better and faster than me, and that brought added reading pleasure. Any reader who likes detective fiction will find pleasure in this novel. Rating: Four-star (I like it) Click here to purchase Blood Salt Water from amazon.com. Counterintuitive. 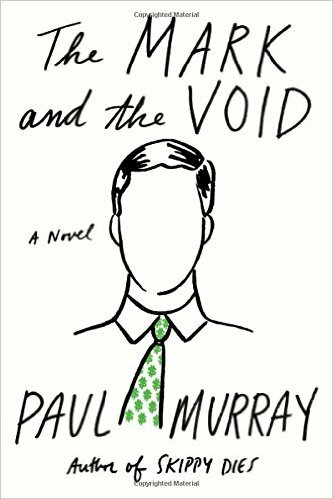 By the time I began to feel that Paul Murray’s novel titled, The Mark and the Void, was quite a bit too long, I was almost in the home stretch, so I finished reading it. For the first two hundred pages or so, I was delighted and entertained by this comic romp about the serious matters of the global financial crisis and life inside one of the big banks. Protagonist Claude Martingale works in Dublin for a bank with the funny name Bank of Torabundo that pursues a strategy that is intentionally counterintuitive. Packed with deceptions of all sorts, there’s a love story here, a satire on banking and the story of an Everyman who led me to root for him. Murray is a fine writer, and his skilled storytelling compelled me to overlook some rocky spots, and stay with him to the end as I was enchanted by this charming and satirical novel. Rating: Four-star (I like it) Click here to purchase The Mark and the Void from amazon.com. Viewpoints. A child can never have too many people in her life who love her. 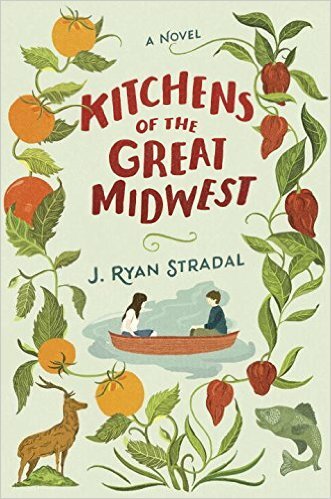 I kept thinking about that reality as I read J. Ryan Stradal’s debut novel titled, Kitchens of the Great Midwest. Stradal structures the novel as stories narrated by eight characters, all centered around protagonist Eva Thorvald. From childhood, Eva developed a discriminating palate, and that leads her in many different directions. I laughed at the humor in some sections, and felt pain in empathy for the struggles of some characters. Throughout, the vibrant writing kept me interested and entertained. Rating: Four-star (I like it) Click here to purchase Kitchens of the Great Midwest from amazon.com. Redemption. 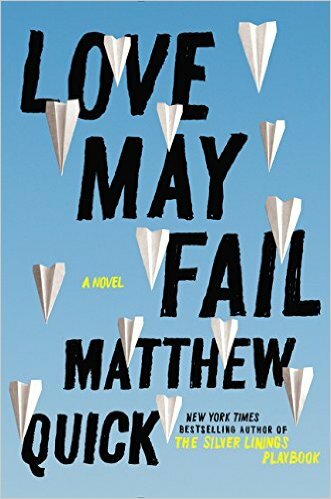 I can recommend Matthew Quick’s novel titled, Love May Fail, based solely on his quirky and fully developed characters. A bonus comes from his exploration of redemption that comes from making bold choices and following a path of hope toward love. A teacher influenced a life in profound ways and that led to a series of events that brought that teacher from despair to joy. If you are in any way overwhelmed by the evil in the world or the depths of sadness and disappointment, read this book and come away with a renewed sense of goodness, kindness and virtue from the unlikeliest of sources. Rating: Four-star (I like it) Click here to purchase Love May Fail from amazon.com. Alarm. 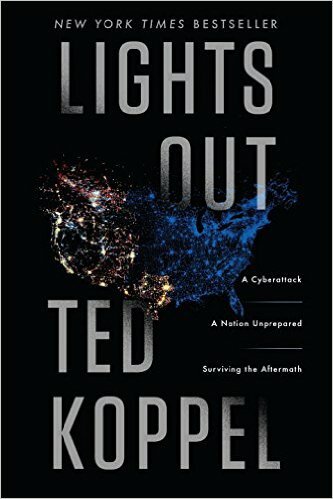 I admit that I had some trouble sleeping for several nights after reading Ted Koppel’s book titled, Lights Out: A Cyberattack, A Nation Unprepared, Surviving the Aftermath. My fright came from Koppel’s description of how a cyber attack on the power grid could impact Americans, especially those of us living in large cities. To say the least, Koppel makes the case that we are vulnerable and unprepared. If by any chance you have any shortage of nightmares in your life, be sure to read this book. Rating: Four-star (I like it) Click here to purchase Lights Out from amazon.com. Coal. Julia Keller plays me like a fiddle. 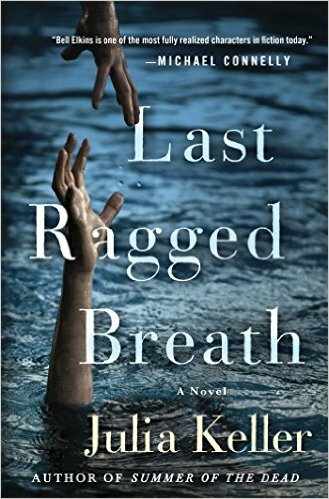 Just when I expected that the fourth installment in her Bell Elkins series of mystery novels set in West Virginia would be on cruise control, Keller offers her best novel yet titled, Last Ragged Breath. Having proven how well she does character, plot and descriptive language that keeps an intelligent reader engaged, she finally reveals the story of coal in this part of the world. She does it ruthlessly and with great skill, approaching a preachy tone only once or twice. She really finds a way to express what home can mean, and how callous behavior by companies can destroy communities. Readers of the series will likely love this one, and new readers can either start here or read from the beginning. Rating: Four-star (I like it) Click here to purchase Last Ragged Breath from amazon.com. Vanity. 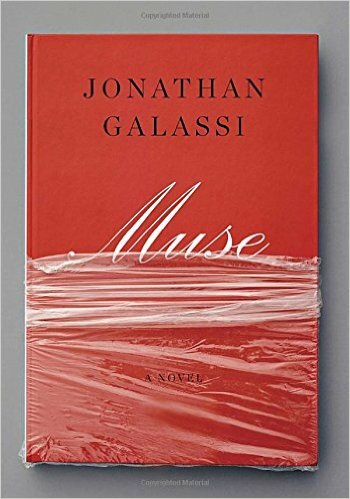 I read so many different sorts of books that when I heard that Farrar, Straus and Giroux publisher Jonathan Galassi had written a novel titled, Muse, I figured it might be a delight. Perhaps there was too much inside baseball for me in a novel about publishing by a publisher and poet. With fewer than three hundred pages, I read it quickly, but never really felt engaged by the prose. Close to the end, I came as close as I ever would to “getting it,” when I read the following: “Their authors were their gods, despite their high-handed behavior, egomania, and competitiveness. In the end, it had been all about them.” (p.234) Having understood that point, I raced to the end, eager to find another author god whose prose would provide me with more pleasure than this novel did. Readers with a strong interest in publishing are those most likely to enjoy reading this novel. Rating: Three-star (It’s ok) Click here to purchase Muse from amazon.com. Wit. 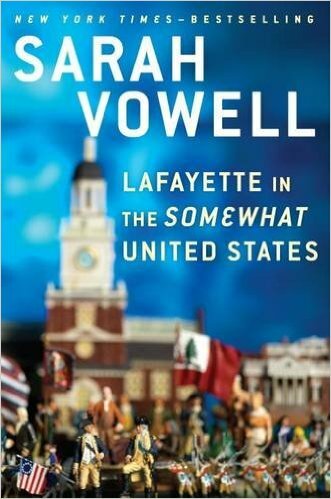 Sarah Vowell’s wit tickles my funny bone, so I am willing to read whatever she writes. She turned her attention to the eighteenth century in America for her latest book titled, Lafayette in the Somewhat United States. Her curiosity about what brought young Gilbert de Motier, Marquis de Lafayette, to George Washington’s side in the Revolutionary War. Vowell studies the topic, thinks about it, and then draws readers into a witty and often ironic story that should keep most readers interested and engaged. Her connections of that time to contemporary life are a bonus and also a delight. Rating: Four-star (I like it) Click here to purchase Lafayette in the Somewhat United States from amazon.com. Fear. 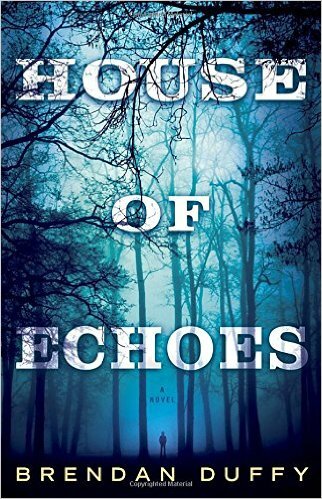 Readers who like creepy page turners will find a lot to enjoy from Brendan Duffy’s debut novel titled, House of Echoes. The Tierney family was ready for a change. Ben has writer’s block on his novel. Caroline lost her banking job. Young Charlie is being bullied at his Manhattan school. They pour buckets of money into restoring a huge property in a remote valley in rural New York State. The town of Swannhaven was where some of Ben’s Lowell ancestors lived, so he felt a connection to this place. The creepy people in the town felt the connection to him and his family as well in ways that led me to yell at the page: “don’t go into the woods” and other assorted exclamations as Ben and Caroline do the wrong thing at the wrong time with great frequency. Despite the implausibility of much of the story, I felt well entertained by the plot’s pacing and the ways in which Duffy kept the fear level at a low boil for hundreds of pages. Rating: Four-star (I like it) Click here to purchase House of Echoes from amazon.com. Policy. Historians have good reasons to be fascinated by Henry Kissinger. Thousands of pages have been written this year alone presenting viewpoints drawn from the extensive documents both by and about Kissinger. NYU Professor Greg Grandin’s book titled, Kissinger's Shadow: The Long Reach of America's Most Controversial Statesman, is one of the shorter contributions to the Kissinger saga, and offers one of the clearest viewpoints. Things are not often the way they appear to be, and what is said in the open does not always match what happens behind closed doors. Grandin offers his analysis of the Kissinger record, and how facts were sometimes dismissed and lessons not learned in pursuit of policy to promote the interests of the United Sates in world affairs. The subtitle reflects the core of what Grandin contributes: Kissinger’s policies remain influential in contemporary foreign affairs. 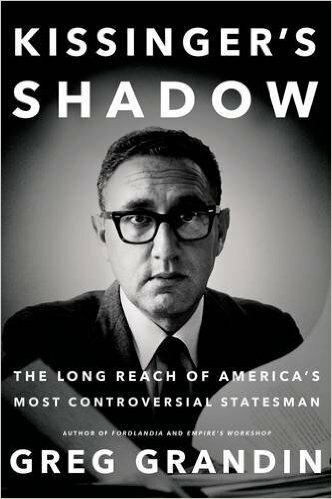 Rating: Four-star (I like it) Click here to purchase Kissinger’s Shadow from amazon.com. Mothering. 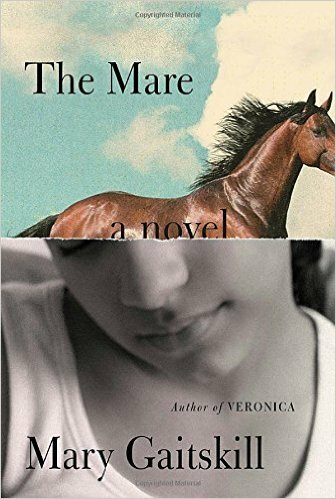 A reader looking at the cover of Mary Gaitskill’s novel titled, The Mare, could assume that this is a book about a girl and her horse. It is that and so much more. The ensemble cast of characters are so finely developed, calling just one the protagonist may minimize the strength of how each character contributes to the whole novel. Gaitskill’s plot will appeal to any reader who enjoys literary fiction that has a clear structure. The novel explores mothering from multiple dimensions, a biological mother who fights for survival; a surrogate mother who wants to become more than that; and a young girl who needs to mother herself. Gaitskill presents multiple narrators in ways that lead readers to see the plot from multiple perspectives. Rating: Four-star (I like it) Click here to purchase The Mare from amazon.com. Specialty. 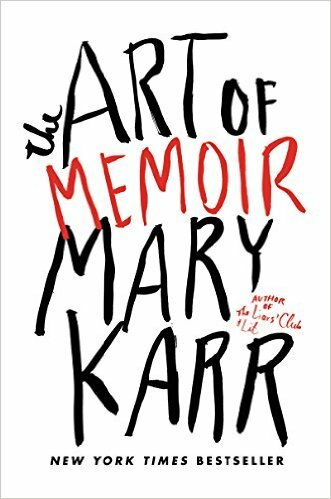 Mary Karr is a great writer and acclaimed teacher, and she offers both those skills to readers of her book titled, The Art of Memoir. For anyone interested in writing a memoir, this book will provide either encouragement or despair. For those readers who love fine writing, this book offers insight into why the memoir can be a success or a failure. I read this quickly and came away with this conclusion for me: I like to read Karr’s memoirs more than I like to absorb her lessons. Rating: Three-star (It’s ok) Click here to purchase The Art of Memoir from amazon.com. Precision. 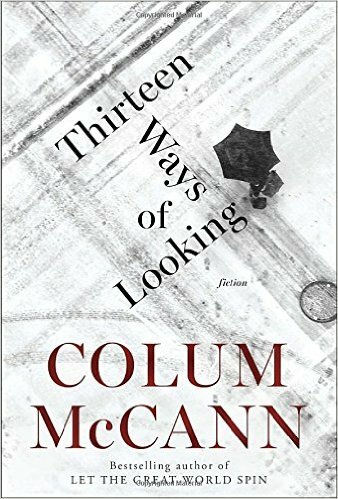 Fans of short fiction will find great craftsmanship in a new collection by Colum McCann titled, Thirteen Ways of Looking. The title novella and three short stories reveal the skill of a masterful literary artist. McCann packs more fine prose and deep insight into the character Peter Mendohlsson, a retired judge, in the novella than many writers can achieve over a lifetime. I reread many of McCann’s finely crafted sentences more than once, and even read some aloud to hear how perfectly the phrases sing. Much of life is a matter of perspective, a viewpoint, and in the novella and in the stories, McCann draws our attention to multiple perspectives that create a masterful whole. Rating: Five-star (I love it) Click here to purchase Thirteen Ways of Looking from amazon.com. Leverage. 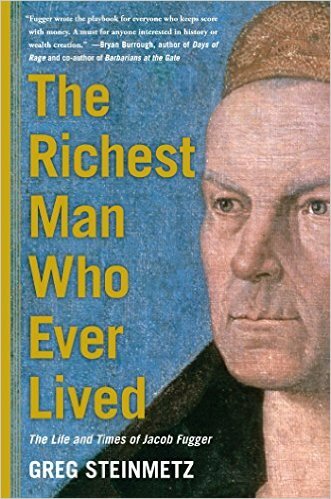 Any reader interested in either history or finance will learn something new after reading Greg Steinmetz’ book titled, The Richest Man Who Ever Lived: The Life and Times of Jacob Fugger. Steinmetz applies the talents of a journalist to a complicated story with lots of characters, world-changing events and a subject that many readers may have never heard of. In the 16th century, Jacob Fugger was the banker to kings and empires, and accumulated through leverage personal wealth that amounted to about 2% of European GDP, making him the richest man who ever lived. Steinmetz describes how Fugger did it in this finely written and interesting book. Rating: Four-star (I like it) Click here to purchase The Richest Man Who Ever Lived from amazon.com. Family. 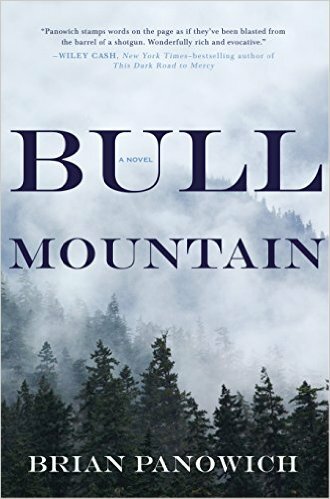 Land and family provide the raw material for a finely written debut novel by Brian Panowich titled, Bull Mountain. The Burroughs family have nurtured one another and created a community on a backwoods mountain in Georgia. From moonshine to meth in a few generations, this outlaw family faces new challenges when someone arrives on their doorstep seeking revenge. Panowich develops great characters, tells a gripping story, and writes with great skill. Readers interested in a debut novel telling an old story in new ways are those most likely to enjoy this novel. Rating: Four-star (I like it) Click here to purchase Bull Mountain from amazon.com. Sexuality. Curiosity and controversy led some readers to Mette Ivie Harrison debut about life in a small Mormon community titled, The Bishop’s Wife, in which she explored the subject of domestic abuse. 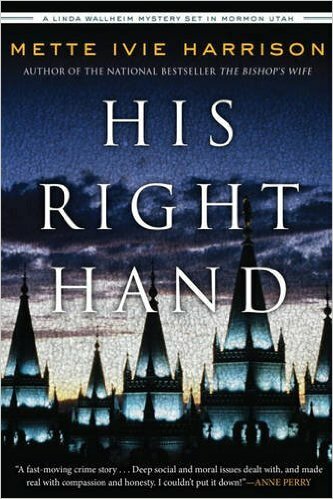 Harrison reprises the protagonist of that novel, Linda Wallheim, for a new Mormon mystery titled, His Right Hand, in which she explores aspects of LGBT sexuality within family and community. Fans of murder mysteries are those readers most likely to enjoy reading this novel. Rating: Four-star (I like it) Click here to purchase His Right Hand from amazon.com. Meaning. 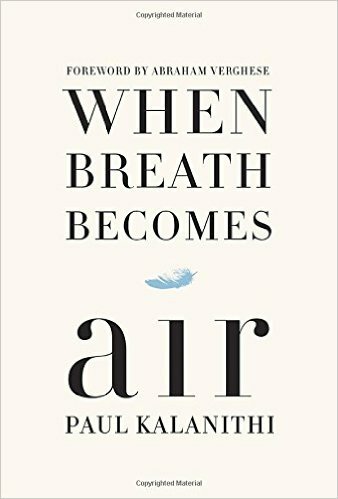 I loved reading Paul Kalanithi’s memoir titled, When Breath Becomes Air, for so many reasons. First, I found that his love of literature gave him a writing voice that provides readers with authentic, clear and finely written prose. This writing is some of the best prose I’ve read in years. Second, he grapples with the core question of finding meaning in life: both how to live and how to die. For some of us, this is one of the main reasons we read many forms of both fiction and non-fiction: how we can learn about the essence of our human nature through the lives of others. Third, he conveys what happened to him as a student, a medical resident, a son, a husband and a father, and as a terminally ill patient. He does this with passion and beauty as his life ends. Any reader who thinks at all about life and death will be moved by this finely written book and will reflect about the meaning of life. Rating: Five-star (I love it) Click here to purchase When Breath Becomes Air from amazon.com.